As a poor college student, the process of going green can often turn into a difficult and expensive proposition. There's no arguing that steps need to be taken to rehabilitate our increasingly sick planet, and ensure the continued existence of those things we often take for granted. That said, talking the talk is much easier then walking the walk. Beyond the obvious steps -- recycling chief among them, going green means buying a host of so called eco-friendly products. Since the best way these days to create change is to vote with your dollar, I find myself very limited. The problem with most eco-friendly products is they are for the most part, more expensive to produce. 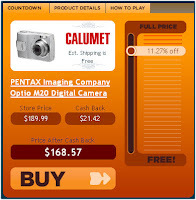 Those extra costs are then passed along to the final consumer. Take organic and locally grown produce, for example. You get a product that has fewer pesticides and chemicals, and one with a substantially reduced carbon footprint. The problem is, you can find yourself paying much more per pound then the chemical ridden counterpart from Chile. It becomes a catch-22 -- buy organic and local, feel good, and be dirt poor, or, continue buying the cheap stuff, feel guilty, but have a few dollars left over at the end of the month. That said, I recently took a small step towards going green, one that everyone can, and should take. I bought reusable shopping bags. Wegman's, my local grocery store, makes these bags readily available at every checkout aisle. You can purchase a bag for $.99 if you have a shoppers club card, $1.29 without. 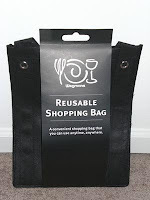 By purchasing a few of these bags, not only do you cut down on the massive amount of non-degradeable, animal killing, oil guzzling plastic bag waste in the world, but you drastically reduce unloading trips between the car and your home. My girlfriend and I went from using a dozen or so plastic bags every week to 4 reusable ones. Thats a major reduction. What once took 2 or 3 trips out to the car can easily be finished in one. So if the environment doesn't concern you (it should) at least buy the bags to lessen the risk of some freak repetitive stress injury from unloading all those plastic bags. Your arms (and insurance company) will thank me. To those who know me, calling myself a techno junkie isn't exactly breaking news. As a college senior I can already lay claim to my early adopter status, and I'm fully aware of my dependency on those things that contain circuitry and wires. (I have an HD-DVD player that's a year and a half old, and already obsolete -- curse you Blu-Ray!). So when I decided to travel to Lafayette, LA for an alternative spring break trip, it's surprising that I never once considered the tech use ramifications. Now that the trip is less then a week away, I find myself in quite the dilemma -- which tech stays, and which goes? I came across this post over at Lifehacker that talks about trying to travel to foreign countries (Thailand) with tech. It doesn't sound encouraging, and while Lafayette isn't close to Thailand, I'd face a lot of similar issues -- security chief among them. As much as I'd like to have my laptop with me for checking e-mail, playing games, and watching movies, I think it's gotta stay home. It's times like these I wish I had an ipod touch/iphone -- maybe when I'm not so poor. Moving down the list, my ipod comes with, if only because a 30 hour van ride with 8 people I don't know well would be excruciating without some melodic distraction (and no, sing-a-longs don't count). A GPS and my cell phone also make the cut. If I could afford the $130 price tag, I'd get myself a Nintendo DS as well. So the trip isn't a complete tech-less experience. It's more like an internet-less experience, in itself a scary thought. It's one I haven't experienced since the early internet days, back when dial-up was the norm, and I was only allowed a half hour of internet time a day. It's going to be an interesting experience. It'll be good to get some time off and take a break from my tech addict ways. 1. Because it tastes good! 4. 96% wine, 4% packaging -- why waste $$ on packaging? 10. You can crush it on your forehead when you're done! I am such a marketing sucker. I was cruising the local wine store, looking for something affordable to buy, and this Bandit 2005 Cabernet Sauvignon called out to me. Perhaps it was the light purple exterior. 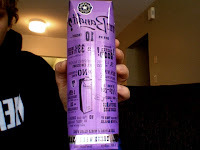 Or more likely, it was the unique juice box style packaging that spoke to me. Or was it the increased volume of wine for the paltry price of $6.99. Whatever it was, after consulting one of the wine store employees, ("Have you tried this? Is it good? 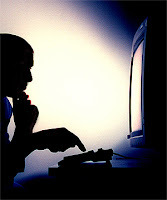 "), I purchased it and brought it home for consumption in the near future. The wine itself is OK. The flavor profile keeps itself entrenched within the mediocrity of most wines under $10. It's drinkable, but I certainly would not want drink it the same way I would a $20 bottle of Greg Norman Shiraz. Like I said, I bought the wine for its unique packaging, and that's about the only place it stands out. One of the pressing issues in the wine industry today is the potentially large carbon footprint that the production and distribution of wine leaves on the planet. Between the dwindling supply of real cork, to the weight of a full glass bottle of wine, import and shipping practices, and the processes used in growing and cultivating the grapes, wine is not exactly an eco-friendly drink. 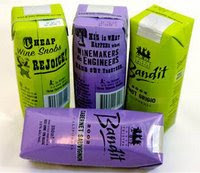 But Bandit's packaging idea, akin to a single serving boxed wine, is much more environmentally friendly. Yes, the packaging might upset wine purists. It's not elegant, or aesthetically pleasing like a glass bottle of red wine can be, but it serves the purpose of delivering fresh, quality wine in an environmentally friendly manner. I think this could be the future of the wine industry, even if it is the distant future, and I applaud the makers of Bandit wine for their ingenuity and courage to be creative in an industry that likes to maintain the status quo.